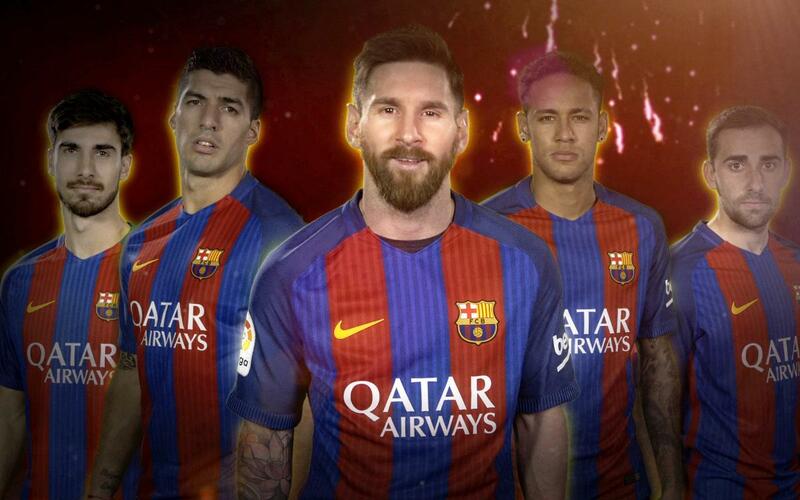 Messi, Neymar Jr, Luis Suárez, André Gomes and Paco Alcácer are the stars of the official Barça video to welcome in the Chinese New Year. Saturday 28 January is the first day of the Year of the Rooster. In Chinese culture, that symbolises twelve months of energy and elegance. It also implies a number of values that we’d typically associate with Barça, including teamwork, persistence and flair. In accordance with New Year or Spring Festival tradition, Chinese people celebrate the occasion by reciting poetic couplets called Chun lian, which are read from special scrolls that are placed at front doors and typically feature ornate and carefully scribed calligraphy. The Barça players appear in the video wearing shirts with their names written in Chinese and then read out their festive messages. Meanwhile, Neymar and Luis Suárez extend the message by reciting their own seasonal verse. And Messi appears making the typical Chinese gesture to express happiness and goodwill. The video ends with the five Barça players saluting their fans with the characteristic greeting to display joy and complicity. In recent years, FC Barcelona has accumulated a massive community of followers throughout China. In last year’s video for the Year of the Monkey, Neymar Jr’s message was viewed by more than 23 million people over the Spring Festival period.